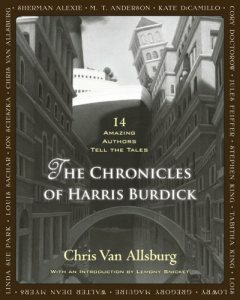 Middle School Monday - The Chronicles of Harris Burdick by 14 amazing authors. The Chronicles of Harris Burkick is a really unusual book. The book features 14 illustrations from the mythical Harris Burdick, the man who supposedly marched into a publisher's office with fourteen original pieces of artwork, accompanied by only one sentence each. He was supposed to return the next day with the complete story for each picture, but never did. Authors like Stephen Kind, Walter Dean Myers, Kate Dicamillo, and others, each chose one picture, and wrote an original story around it. This book is kind of like a creative writing project for stellar authors! Check out the amazing illustrations, and see if the creations of some of the best authors in literature today mesh with what you imagine in your own mind...To learn more about the mysteries of Harris Burdick, go to:www.themysteriesofharrisburdick.com. 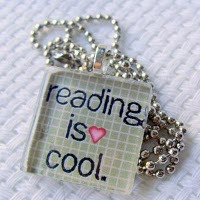 Three Teen Books I Can't Wait to Read!